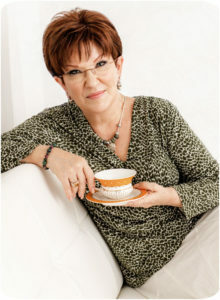 I’m María Tomás-Keegan, a speaker, author, and certified career & life coach. I help women like you build resiliency for navigating life’s challenges, so you can create more harmony in your life and step back into your strength with courage and confidence. Allow me to be a bridge for you– to guide you from where you are today to where you want to go. Has a major life event turned your world upside down? How can you rebound with resiliency? Are you usually able to roll with life’s punches and rebound quickly? This time you’re not? What might be different? When your world is shaken by a major life event—such as divorce, loss of a loved one or a career upheaval—it can take you down a deep dark pit of despair from which it can seem like there’s no way out. No light at the end of the tunnel. Bouncing back feels impossible. It might be that life events have piled up on you and you thought you were doing just fine until this one was the last straw. I get it. One day you’re feeling like you can tough this out and get through it, and today your resiliency has taken a hike. I’m here to guide you back to your powerful, resilient self, so you can make choices that help you to turn your upside-down world right side up again. Navigate life’s biggest hurdles. Read Upside Down to Right Side Up: Turning Transition into Triumph. 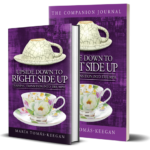 Book and companion journal available now on Amazon. I’ve had my share of experiences with life-shattering events that threatened to change me and my life profoundly. Finding my way through and beyond them, by making choices that serve me, and learning that we are not meant to do this hard life-stuff alone, inspired me to help other women do it better than I did at first. 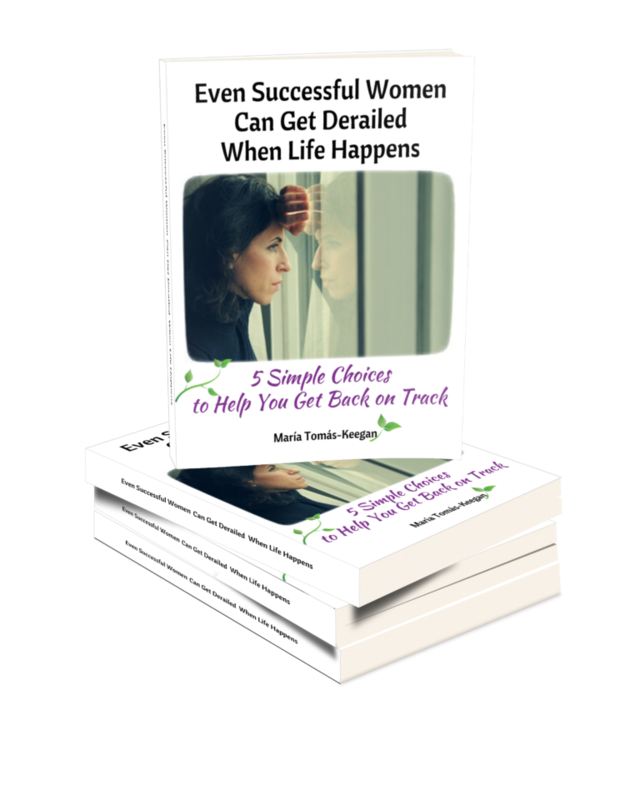 I am a career and life coach who helps women build resiliency as they work through major life events, rather than get derailed. I believe it takes creating a firm foundation that supports you. It takes a willingness to change and make different choices, and it takes courage to step into your place of power. 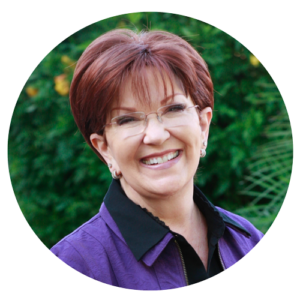 I can help you put the pieces of your life back together again in a new way, making room for new possibilities while being grounded in your own voice, values, and vision. Learn to design a new life that will turn your world right side up again. Let’s move you beyond going through the motions—just coping and surviving—so you can thrive in all areas of your life: at home, at work, and at play. You know you have survived events like this before, but THIS ONE feels different. This one feels like it might finally derail you for good if you don’t do something about it. Divorce? Loss of a loved one? Caregiving? Retirement? Layoff? Career change? Any of these events have the power to derail even the strongest women among us, especially when it’s One. Change. Too. Many. Is “auto-pilot” your normal mode? 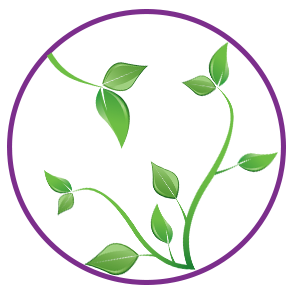 Has your usual resiliency left the building? Sign up for my newsletter for a weekly dose of inspiration and tips to live courageously every day. I’ve lived through major shifts in my life over and over again and became hardened to how I was feeling. I stuffed my emotions so deeply, just to get through the day, that I couldn’t feel much of anything anymore. I just kept on going, wearing a mask and a suit of armor to protect me, conditioning myself by pretending everything is fine—going through the motions. Until this one time, when something within me broke, I couldn’t summon up the resiliency to keep plowing through. When I hit that pivotal moment, I had no choice but to reach for help. Sometimes we need a trusted hand to help us find our way back after being derailed. I found mine and she saved my life. I’m inspired to help other women make different choices and thrive, as I have learned to. I am proof that it is possible. I encourage women to give themselves permission to rediscover who they are, take off the mask and begin to create a vibrant life which supports them where they are today. I inspire women to step back into their life fully, with more clarity and confidence. They regain their resiliency while putting tools in their treasure chest which will keep them from getting derailed ever again. That’s what I call thriving! Plus be among the first to watch my inspirational interviews with women! If you’re ready to feel better, then I invite you to take the first step by reading my free eBook: Even Successful Women Can Get Derailed When Life Happens. In the book, I share a bit of my own story through life’s challenges and changes and let you in on some of my “secrets” so you can make better choices for yourself. Trying to do this life stuff alone is hard — allow yourself to navigate your transition more easily with the help of this book.